Local police officers, community leaders and Feeding America officials break ground on the site of a future community resource center in Roanoke. Construction on a new community center that will help provide meals for kids during the summer months is underway in Roanoke. It's thanks to an unusual effort of cooperation between police, a non-profit, and city officials. The 2300 block of Roanoke’s Melrose Avenue is a piece of ground with a bit of a checkered past. That’s Roanoke City Police Captain Rick Morrison, who wanted to see the property turned into something that would benefit the local community. He began compiling a team to research just how to accomplish that. That team approached Feeding America Southwest Virginia, which plans to create a “Community Solutions Center” on the property. 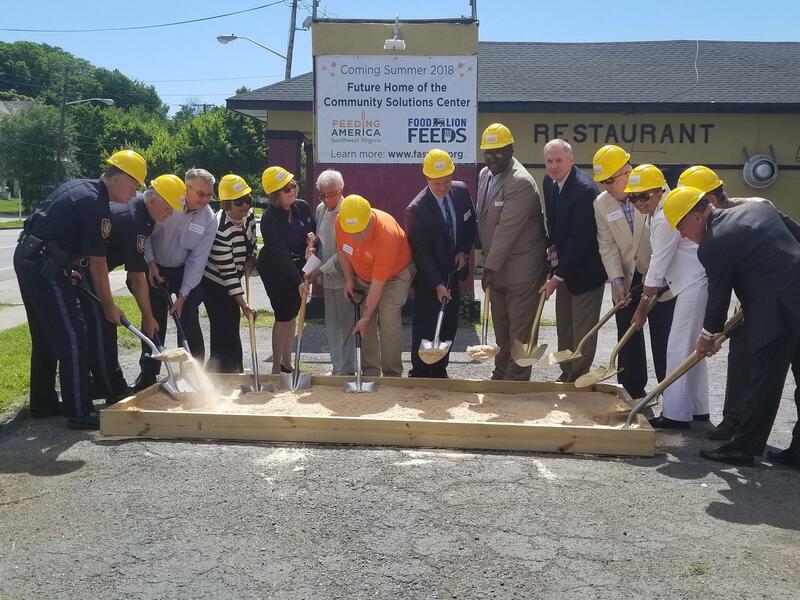 On Monday, Feeding America, police officers and city officials broke ground. The group gained funding for the project through a number of sources, including community development block grants from the city and a $350,000 gift from grocery chain Food Lion.